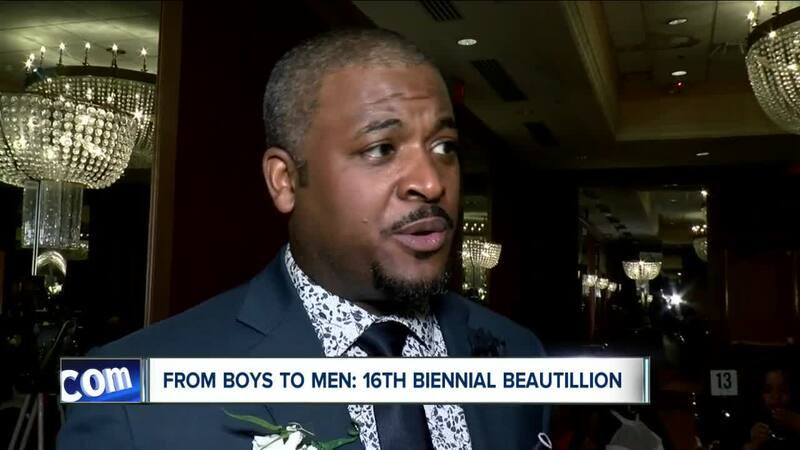 BUFFALO, N.Y. (WKBW) — Nine young men were presented to society alongside their parents at the 16th biennial Beautillion of the Buffalo chapter of Jack and Jill of America, Inc.
Young black men have a rights of passage ceremony after spending 6 months in a leadership program. Hundreds have come through the program to date. “We teach them how to tie their tie, how to date a girl, the kind of food they should be eating, and their careers,” said Dr. Catherine Collins who brought the event to Buffalo in 1983. Former beau Demone Smith went through the same program 20 years ago. He said it is life changing. Today, Smith is the executive director at the Buffalo Employment and Training Center. The young men were in workshops for months learning about leadership and cultural and civic engagement…even walking away with a new name after an African naming ceremony. Tonights honorees were: Peyton Barker, Joshua Branch, Janair Henderson, Anthony Jackson, Jai Robinson, Isaiah Seay, Ulysses Wingo, Jr., Michael Washington, and Jayden Hulett.